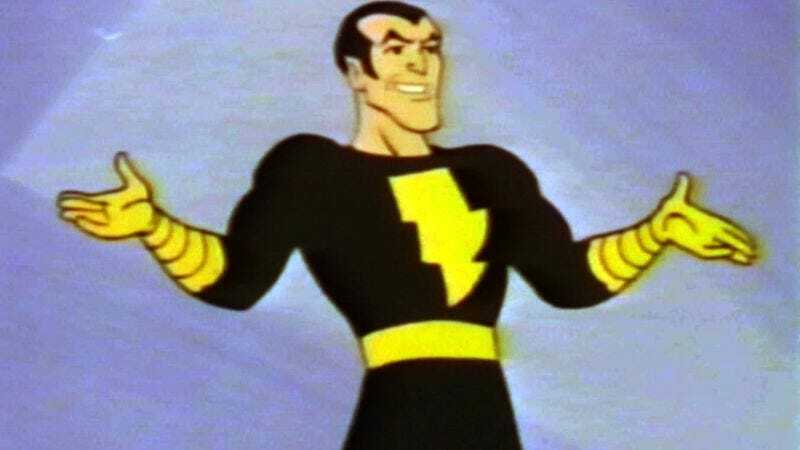 In the wake of Dwayne Johnson’s announcement that he would play Black Adam in a Shazam movie, speculation turned to how his character might tie into the rest of the DC movie universe, and how that universe would lash him to the pitiless void, where laughter is swallowed in the vacuum of super seriousness. But it turns out Black Adam may escape into the light, by virtue of his movie being produced under New Line—and not parent studio Warner Bros.—and therefore not directly connected to Warners’ lineup of Justice League films. Talking to Entertainment Weekly, New Line’s Toby Emmerich says Shazam will have “a tone unto itself. It’s a DC comic, but it’s not a Justice League character, and it’s not a Marvel comic. The tone and the feeling of the movie will be different from the other range of comic book movies.” Namely, this DC superhero movie will try being fun. While Emmerich obviously didn’t elaborate with specifics, he reiterated several times that Shazam would try this unusual “fun” angle as a way of differentiating itself from many other comic-book movies. Shazam “will have a sense of fun and a sense of humor,” Emmerich said, before adding that Johnson’s take on Black Adam was “compelling and fun.” To that end, he compared the “antihero” version of Black Adam to Johnson’s character in Fast Five, a movie that similarly gambled on making wild car chases fun, to great success. With the script only now assigned to Darren Lemke—whose work on Turbo and Jack The Giant Slayer could suggest that New Line is hoping for a certain, similar sort of lightheartedness in the story of a kid who‘s transformed into a superhero by a magic wizard—it’s obviously too soon to tell how distinct Shazam will be from the rest of the DC universe, and whether this really means Black Adam et al. will never intersect with the other members of the Justice League. Still, it’s probably just as well; the last thing those guys need right now is someone clowning around by actually enjoying having superpowers.